Our estate wines celebrate Michigan's fruit and local farming. They make an excellent meal pairing or gift. Our wines are available at our store or all year by calling 734.560.2840 or email hgneuroth@hotmail.com. We currently do not ship. This hard cider, also known as Apfelwein (Apple Wine), is a specialty of Frankfurt, Germany. It is typically found in the old town district of Sachsenhausen. Made from a blend of our apples, it has a bold and refreshing taste. Once opened, you'll want to serve and enjoy due to the yeast fermenting process. Unlike typical Sweet Mead that mixes honey with water, this wine is made with Obstbaum Orchard's finest apples. It pairs well with cheeses, desserts or as an aperitif. It received a Bronze Medal as well as a ‘Best in Class’ designation amongst all fruit wines in the 2013 American Wine Society Conference. 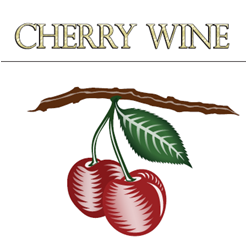 Made from Montmorency cherries, enjoy a slight cherry pie taste. This is a great wine to serve chilled. It is a semi-dry wine and pairs well with savory meals. This wine received a Silver Medal in the 2013 American Wine Society Conference. Six ounces of this wine contains a daily serving of cherry juice concentrate. Cheers to your health!